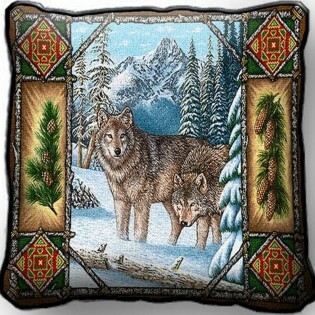 This Wolf Lodge tapestry pillow features a pair of gray wolves surveying a snowy mountain landscape and has a decorative border with pine cones and twigs. 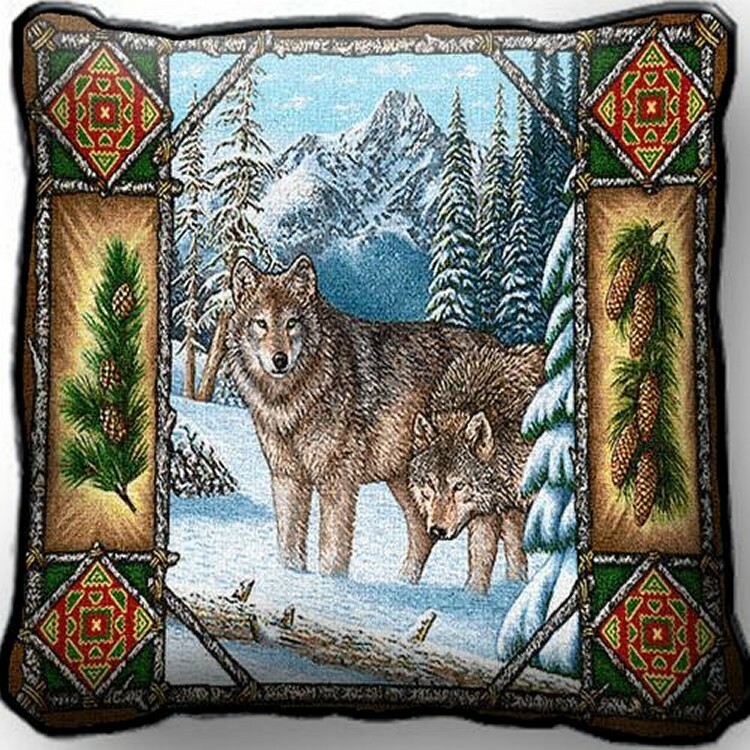 This Wolf Lodge tapestry pillow features a pair of gray wolves surveying a snowy mountain landscape and has a decorative border with pine cones and twigs. Colors include dark green, blues, white and gray. This rustic wolf pillow measures 17" x 17". Ships in approx 5-7 business days.